In the far east of Victoria is one of the last wild places in Australia—East Gippsland’s Emerald Link. 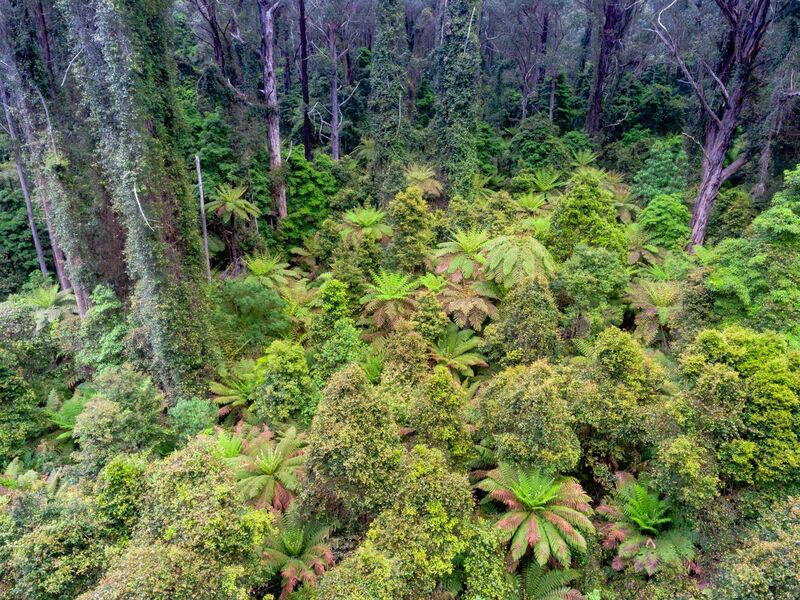 These forests form the only continuous tract of vegetation that remains on mainland Australia—from snowy alpine peaks to the shores of untouched coastlines. The Emerald Link contains forests untouched for millennia. They are a haven for rare and threatened species of plants and animals—many of which are found nowhere else on Earth. Step inside East Gippsland’s Emerald Link and make a connection. 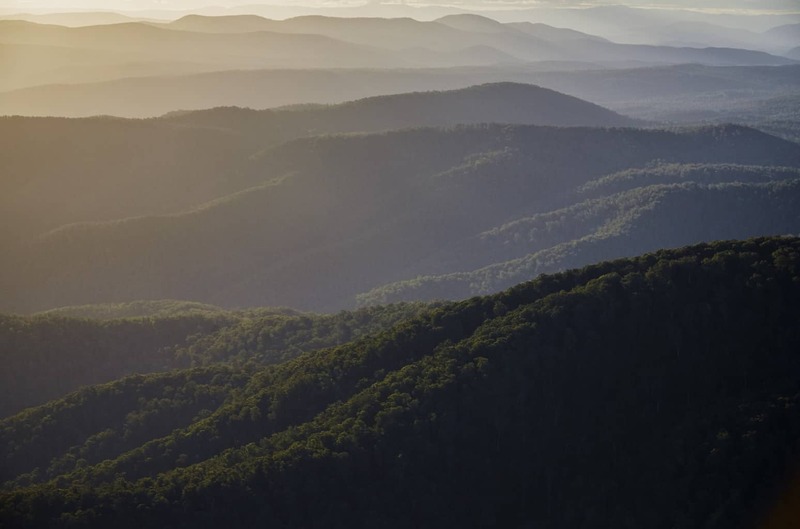 Our vision is to protect the forests of the last unbroken forest wilderness area, on mainland Australia, that connects alpine forests to the rugged coastline. With improved management and greater investment, the supreme natural beauty of East Gippsland’s Emerald Link can become a world-class conservation tourism destination. Check here to read the Emerald Link summary report detailing our vision. We acknowledge the long and ongoing connection of the region’s Traditional Owners and their continuing custodianship of the land and waters. The organisations behind the Emerald Link continue to seek dialogue with Traditional Owners regarding their land and water management aspirations for the East Gippsland region. The forests of the Emerald Link are a haven for many threatened plants and animals. The combination of southern cool and eastern warm temperate climates create a rich biodiversity. 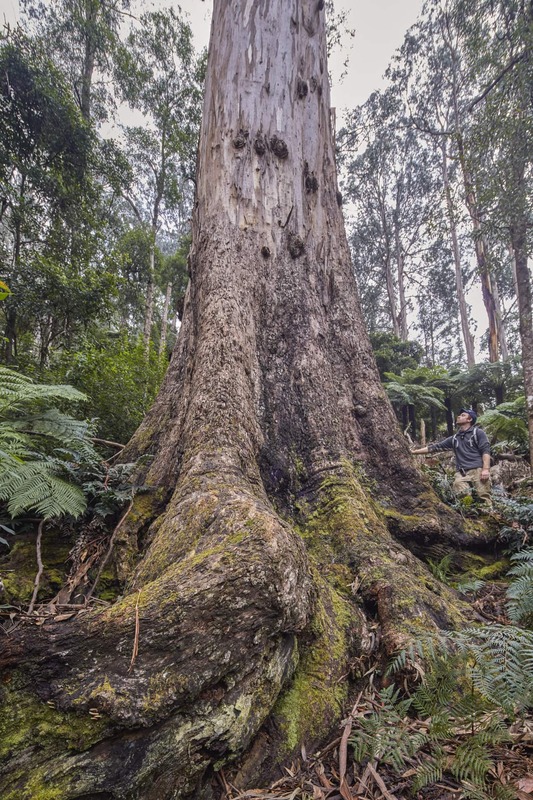 Warm temperate rainforests thrive in the wet gullies of East Gippsland’s lowland forests and contain plant species that have evolved over millennia. Sassafras and Black Olive Berry trees form cool temperate rainforest canopies over small streams fringed with elegant ferns and colourful fungi. Up on the plateaus, mountain mists swirl through the branches of giant Errinundra Shining gums that have stood sentinel for six hundred years or more. The diversity of the ecosystems found in the Emerald Link creates an ecological niche that provides life support to numerous species of animals and plants not found anywhere else on Earth. It’s little wonder the Victorian Government has identified East Gippsland as a flagship area for biodiversity conservation. Yet, incredibly this magnificent place is still under threat. 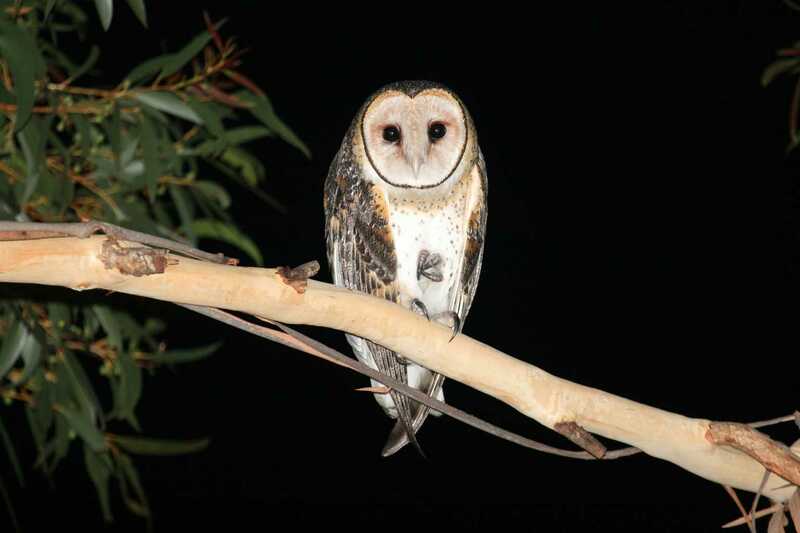 Unfortunately, climate change is predicted to severely impact Australia’s forest biodiversity. Relatively intact areas like the Emerald Link offer some hope for our ecosystems to face the many challenges this century and in those to come. The more intact a natural ecosystem is the greater resilience it has to external influences. If an entire ecosystem is protected and connected, it has a greater ability to respond to external influences and adapt to stress—such as the stress of a changing climate. In this time of unprecedented change and the impact that that is having on our ecosystems, wild and connected places like East Gippsland’s Emerald Link will be a safe haven for plant and animal species and will be the cornerstone of helping species survive and evolve. 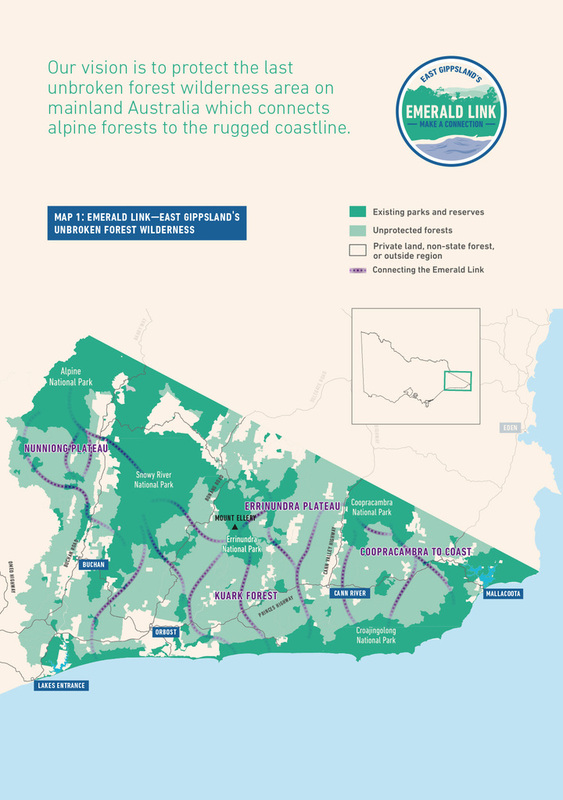 Protecting the Emerald Link is an investment for the future of Victoria’s natural systems.